Set It & Forget It. 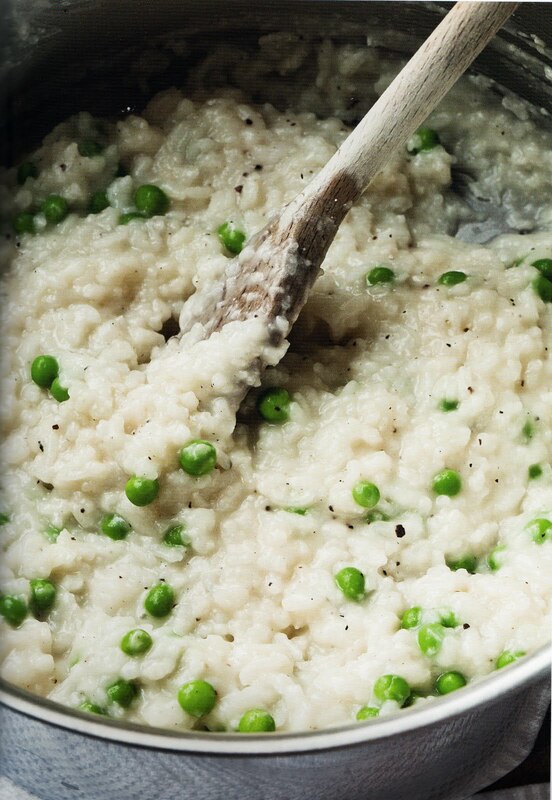 The Easiest Risotto Ever! 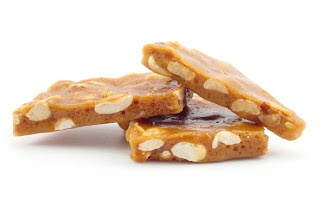 Old-Fashioned Peanut Brittle the Easy Way! It’s not often that I get giddy about a recipe. Well, maybe I get giddy about recipes more often than the average person, but it’s not out of control or anything. It's just that I can't help but get enthusiastic when something that seems too good to be true, culinarily speaking, ends up delivering on its promise. This particular bout of giddiness started with a healthy dose of skepticism when presented with the notion of a risotto that could be made entirely in the oven. A sort of set-it-and-forget-it risotto. The last time I was this excited about a recipe it was for Sullivan Street Bakery's 4-ingredient French Boule you make in a Dutch oven that requires absolutely no bread-making skills whatsoever. The one that flew around the internet a couple of years ago faster than Lindsay Lohan’s latest mug shot. I turned up the TV and paid close attention. She explained to an inquisitive Matt that this was a risotto that didn’t require constant stirring. If you’ve ever made risotto, or been too afraid to attempt it, it’s usually the constant stirring thing that puts people off. She casually poured the Arborio rice into a Dutch oven, along with some simmering chicken stock, homemade of course, because we all have that on hand. She explained that the whole procession would be placed into a 350º oven for a mere forty-five minutes and through the magic of television, produced a steaming pot of pretty unimpressive-looking rice. But then, before our eyes the magic did happen and it had nothing to do with television. I watched intently as she stirred in some more chicken stock, a splash of white wine, a generous handful of Parmesan cheese and of course, a big knob of butter. As she continued to stir vigorously, the rather sad-looking mixture began to pull together into a creamy, glossy and cohesive looking pot of gorgeous risotto. I blinked a few times, assuming I was still half asleep, but there it was on the screen, a risotto as delicious and sumptuous looking as any I’d ever seen and one that defied the very logic of the dish. Needless to say, I decided I had to try this particular method of making risotto that very night for dinner. The recipe was still fresh in my head, but I couldn't help being a bit skeptical as I gathered my ingredients, all of which I happened to have on hand (with the exception of that fantasy homemade chicken stock). I settled for boxed stock and just hoped the entire notion of a no-stir risotto from the oven wasn’t the biggest fantasy of all. I tweaked the recipe slightly, adding a minced shallot and a couple of cloves of garlic to bump up the flavor. Other than that, I followed the recipe exactly as Ina had demonstrated it for Matt. Forty-five minutes later I pulled the pot from the oven and began stirring in the remaining ingredients. This is where skepticism slowly gave way to giddiness, because just as it had on the TV screen, with no magic involved, the unimpressive-looking rice really did pull together into a creamy, glossy and downright gorgeous pot of risotto. The texture of the rice was absolutely perfect too, exactly as it would have been if I'd spent the last half hour mindlessly ladling and stirring on the stove top. I wondered where this technique had been all my life. The full-blown giddiness (the kind that induces a little dance) came of course, with the first bite, because this was without a doubt, some of the most delicious risotto I’d ever tasted. And just as Ina promised Matt, it was the "easiest risotto ever." 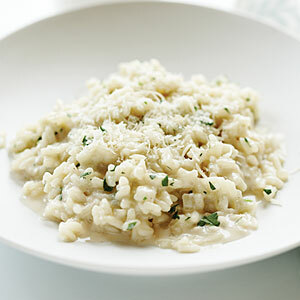 While not technically a classic Italian risotto, this sure is easy. I found the process for this recipe in a book by Donna Hay, the wonderful cookbook writer from Australia. I make it with my homemade chicken stock, lots of freshly grated Parmesan, and frozen peas. Risotto in the oven? You have to make this to believe it! Place the rice and 4 cups of the chicken stock in a Dutch oven along with the shallots and garlic. Cover and bake for 45 minutes, until most of the liquid is absorbed and the rice is al dente. Remove from the oven, add the remaining cup of chicken stock, the Parmesan, wine, butter, salt and pepper, and stir vigorously for two to three minutes, until the rice is thick and creamy. Add the peas and stir until heated through. Serve hot. I’m not a traditional person, per se. Or at least, I pride myself in railing against tradition in most areas of my life. I guess I’m more of a non-traditional traditionalist, if that makes sense. I don’t decorate for the holidays in red and green. Quite frankly, I think they clash. I don’t eat fruitcake or Yule logs. Ever. I’m far too disorganized to send out cutesy Christmas cards to everyone I know, so I don’t. Although I love getting them, so thanks everyone and keep ‘em coming! I don’t have any Christmas-y family heirlooms I drag out every year, but I’d give anything for that retro aluminum tree from the 60s that my Grandparents once had, the one with the groovy color wheel. Remember those? It’s my absolute, hands-down favorite holiday cookie and I look forward to the tradition of making them every year because it signifies the real start of the Christmas season for me. No matter where I’ve lived or how busy my life has been, even in the lean years when I couldn’t afford to decorate for Christmas, I always found a way to bake these cookies, because they feel like home. Now, I must confess that I have no idea if these cookies are actually Swedish. I have no idea why they’re called Swedish cookies. I’ve Googled, I’ve searched, I’ve asked around. No one seems to know. And really, if Google doesn’t know, who does?! Evidently, even my choice of Christmas cookie is non-traditional traditionalist. Or, something like that. I’ve never given these cookies to anyone outside my family, who’s ever had them before. I’ve never seen them anywhere else and they don’t sell them at Ikea. My Grandma made them, my Mom made them, all of my Aunts made them, I just always remember them being there, but no one can remember exactly where these cookies came from - though my Aunt Harriett credits my Aunt Mona with finding the recipe somewhere. What I do know for sure is these cookies are special. They’ve always wielded some brilliant power over me and everyone I share them with, which is interesting, because they’re quite humble at first glance. They don’t contain any fancy extracts or exotic, rare ingredients. 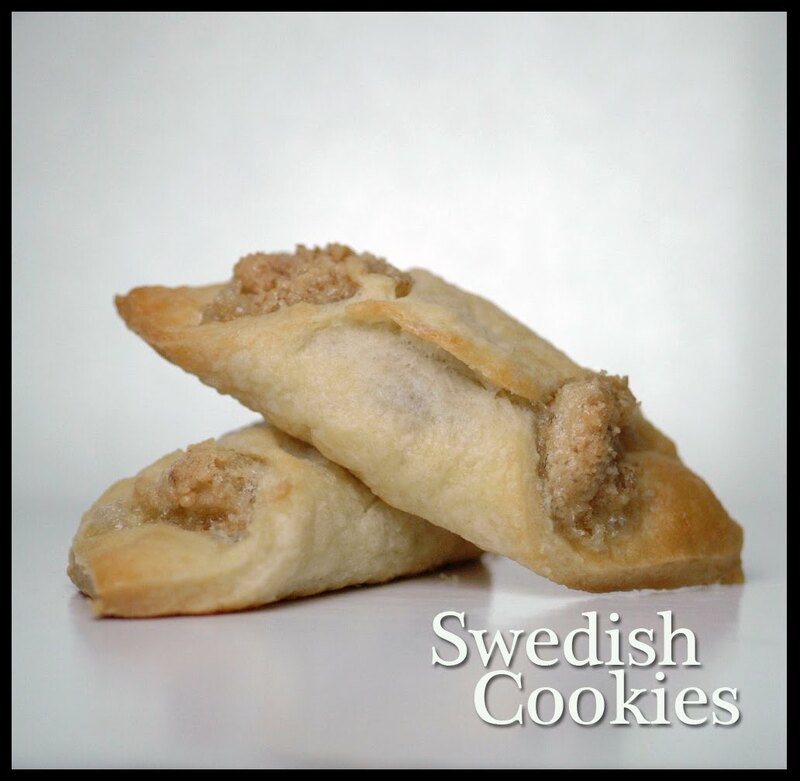 Certainly nothing that screams “Swedish!” In fact they’re made simply from butter, cream cheese, flour, sugar, egg whites and walnuts. 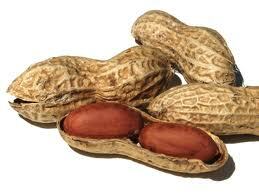 You could easily overlook them on a plate at a holiday party and dismiss them as not that interesting. Perhaps even a bit boring. But that’s where you’d be wrong. True, they’re not as glamorous-looking as those fancy cut-out, frosted confections all sprinkled and dragéed. They may not be formed into the shape of a reindeer or a snowman, but those meager ingredients come together magically into a cookie that is bigger than the sum of its parts and when you taste them, well, that’s where the real magic happens. They’re crispy and buttery and nutty and have just the right amount of crumble. 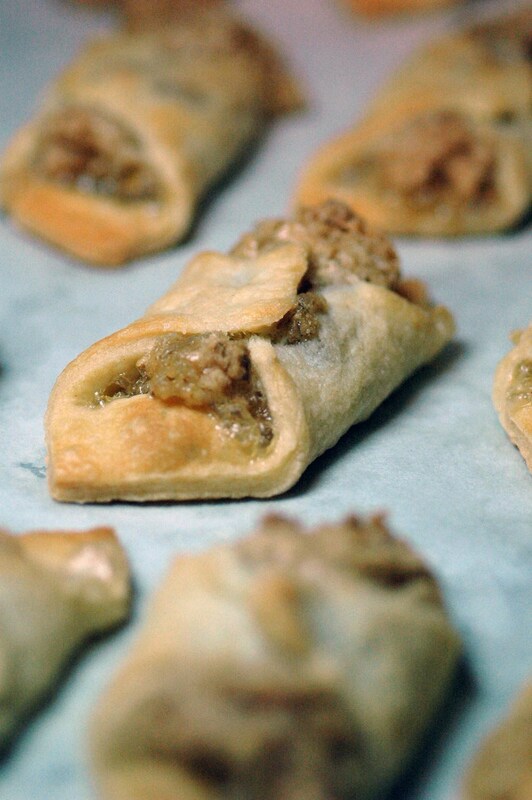 The filling gets crackly and the pastry is flaky. They’re delectable, and dare I say, almost transcendent. Nowadays, one of my favorite holiday traditions has become introducing these magnificent gems to new friends each year. I admit that secretly I hope they’ll love the cookies as much as I do, and perhaps, they’ll become a tradition for them as well. That, and I figure the more people who know about the humble Swedish Cookie, the better the chances of finding it on Google next year. For the dough, cream together the butter and cream cheese in the bowl of a free-standing mixer fitted with the paddle attachment. 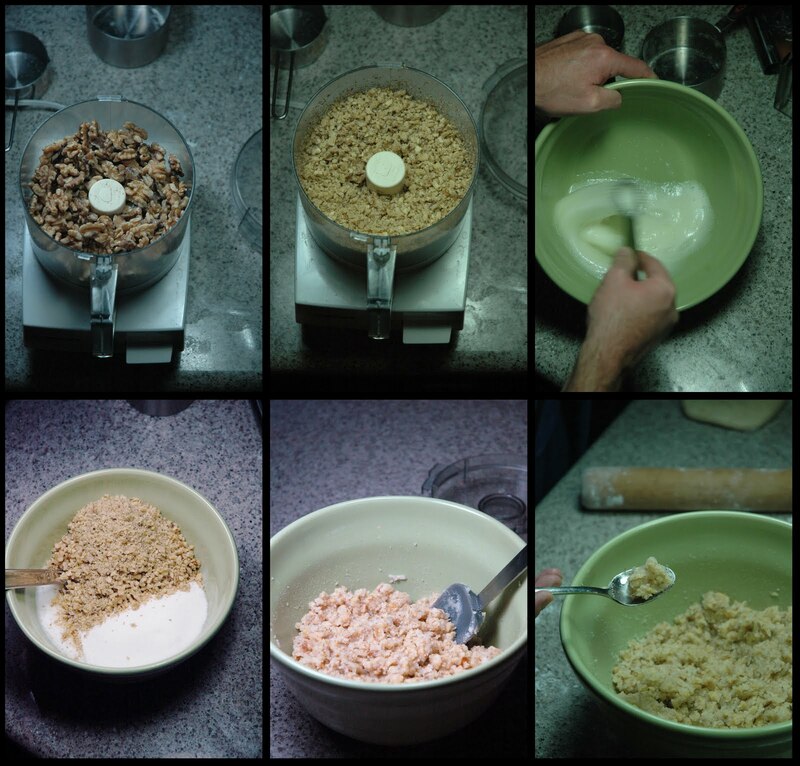 Slowly add the flour, a little at a time and mix on low speed until incorporated and just starting to come together. Turn dough out onto a board dusted with confectioners’ sugar and knead a few times, forming into a ball. Divide the dough into four equal parts, flatten into disks and wrap in plastic wrap. Place in the refrigerator to chill for 1 hour. While the dough is chilling, set to work on the filling. Whip the egg whites until foamy and able to hold a soft peak. 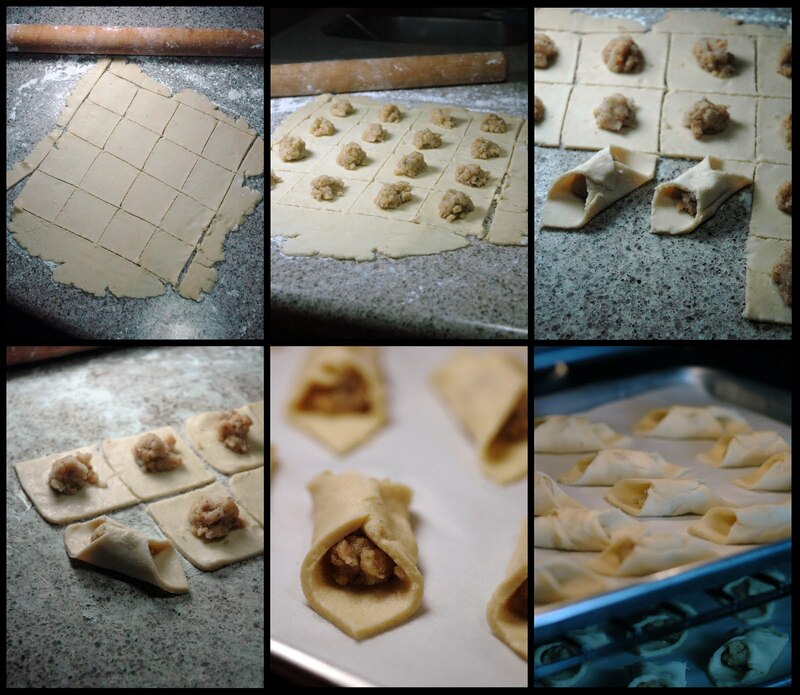 Gently fold in the sugar and the walnuts. The mixture will be thick and dense. 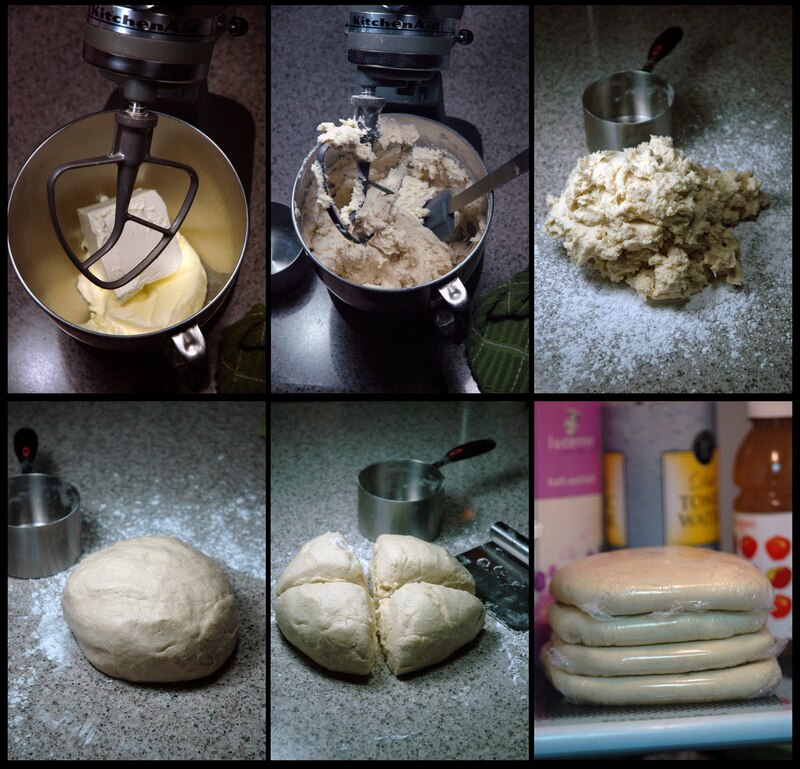 Note: The dough is very soft, so work quickly. I’ve found that chilling the cookies on the cookie sheet for about 10 minutes before baking will help keep the corners together. There are all kinds of methods and theories for making perfect peanut brittle. There are those who insist you cannot make it without a candy thermometer. Some swear by the back of spoon trick, or the water test. Frankly, I find them all daunting and off-putting, even a bit scary. I need things to be easy, so I have always been happy to leave the candy-making to other people. My Aunt Harriett has been making the most delicious peanut brittle during the holidays for as long as I can remember. I just assumed she dragged out all of the same accoutrements everyone else did and stood by nervously staring at a candy thermometer trying to gauge the right temperature. “Not true,” she told me rather matter-of-factly one year. “Grandma never used a candy thermometer to make peanut brittle, so I’ve never used one. I go by the color. Light golden brown is the key.” She also told me she throws the peanuts in at the beginning because “it’s just easier.” Her words were a revelation and just like that, I’ve been undaunted ever since. Butter the bottom of a large sheet pan; set aside. Combine peanuts, sugar, corn syrup and water in a medium saucepan over medium-high heat, and bring to a boil, stirring constantly, until the mixture is the color of light brown sugar, about 5 minutes. Resist the temptation to push the browning past the point of “light golden brown,” as Aunt Harriett says, or it will undoubtedly take on the taste of burnt sugar, undoubtedly landing you somewhere on the other side of good. Remove saucepan from heat, and stir in the butter and baking soda; stir quickly as the mixture will begin to foam up. Pour onto the prepared sheet pan. Use a wooden spoon to stretch the brittle as thinly as possible over the sheet pan. Allow the brittle to cool completely, about 45 minutes, then break into bite-size shards. Brittle can be stored in an air-tight container for up to 2 weeks.